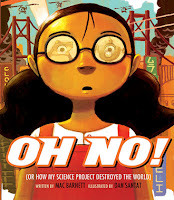 stayed awake all - "
Oh boy, I can't wait to read this book to a good friend's class this week. I am going over to spend an hour with them on Wednesday and have been picking some of my favorite new books to share. Luckily, this one arrived in the mail today and it will certainly be in my book bag. I know they will love it! It is such a brilliant combination of story and art, of familiar and new (with a twist), and it offers a chance for its reader to use voice, inflection and a sense of fun in sharing it. "out jumped a little red chicken, and she said, "DON'T GO IN! SHE'S A WITCH!" So Hansel and Gretel didn't. THE END!" You know where we are going right??? Papa admonishes, the little one apologizes and makes a new promise, and on they go to the next story. It happens again and then again....each time eliciting the same wise counsel and a repeated assurance of compliance. It is not to be. Too soon the book concludes and the little red chicken is no closer to sleep than she was when she crawled into bed. Papa offers an acceptable solution, and off we go again! This final story does its job and soon both storytellers are sound asleep. As happens with the best books, a winning blend of text and art will enthrall and entertain. Clues to the family's life are evident...a double page spread showing toys, books and other tell-tale signs of an indulged youngster in the house. There are books at every turn, a nearby stool for the reader to sit on while sharing bedtime stories, and much love shown between parent and child. The bright mixed media colors, the humorous expressions of the characters in the stories being read and the child-like writing and drawings in 'Chikn's' book are sure to delight. It's a winner! It certainly makes me think of the many times that either David or I fell sound asleep while sharing bedtime tales with our kids. Gentle nudges would work to get us back on track; but there were times when the reading was done by the ones who were supposed to be doing the sleeping! Haven't we all heard the stories from parents, and sometimes grandparents, about our great good luck in not having to walk to school in the dead of winter...at least a mile, in thigh-high snow and UPHILL all the way! Why, I think I have even tried to convince my kids that it happened to me; but, they know exactly how far it was for me to walk to George Fitton, McLaren and Harrison...no more than five city blocks! I didn't have to walk a mile to catch a school bus, when the cold winds blew and the snow was piled high. But, many children did and some still walk long lanes to get to the bus stop early in the morning. 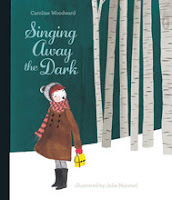 I wonder how many of them feel like the young girl in this lovely, wintry tale. When she leaves home, it's dark and there are many sights and sounds that cause her to be anxious. The warmth of the house is lost to the cold, icy weather that surrounds her. She knows she must hurry for the bus will not wait, and she has a mile to go. As she walks she makes the discovery that singing helps to calm her fears.
" I sing for sun, I sing for strength, I sing for warm toes, too." The singing serves to diminish the early morning animal sounds, the creaking of the tree branches, and makes the darkness fade away. Her trek is timed perfectly...she reaches the road as the bus rolls into sight. Ah, another day of school with her friends. The lilting verse perfectly voices her fears and her wonder at the daily journey. Julie Morstad's soft watercolor illustrations provide a flawless backdrop. She uses the bright white of the snow to lessen the deep dark of the winter sky, and reds and yellow to keep us ever watchful of our narrator as she makes her way from home to bus. She is never out of our sight. The animals and trees are in silhouette as she passes, until her singing brings warmth and color to the darkness. The farmer out early to feed his stock and her neighbor's welcome wave lend a protective quality to her daily foray into this wintry wonderland. The familiarity of the warm yellow bus with its bright lights bring a sigh of relief...for all. "But many of us, at some time of another, have felt different - and have hoped that what makes us different might actually make us special." 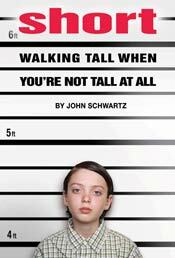 "So when you see the big headlines about those studies saying that, on average, short people don't achieve as much, or that on average they don't earn as much, or that on average they aren't as smart, there's a handy response: Who wants to be average?" Thoughtful and uplifting. Thank you, John Schwartz! 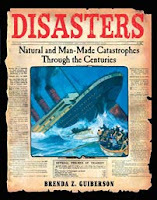 There are ten disasters here and they are presented chronologically, from the outbreak of smallpox to the horror of Katrina and its continuing aftermath. Brenda Guiberson provides a just right mix of facts, so that all readers can access the information without being overwhelmed by it. 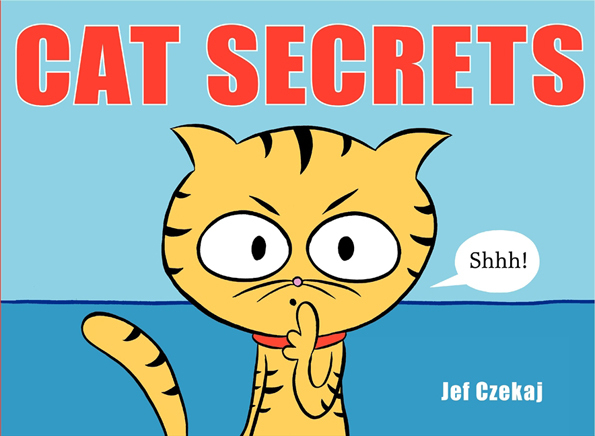 It would prove to be a hit as a readaloud in intermediate and middle years classrooms, even beyond. As an adult I found the presentation fascinating and compelling. As usual, I learned a lot! The author is adept at making her readers feel that they are part of the disaster being described...giving details and proving that the best nonfiction writers do their research well before sharing it with their audience. She is able to help us easily understand each of the different times in history, while keeping the information clear and manageable. There is so much here to discover! And you know how kids like disasters. This will be a popular book for borrowing and will lead its reader to a deeper understanding of the events that led up to, and that followed some of the most talked-about tragedies, past and present. Each chapter is about twenty pages long, long enough to provide needed details but not too long to lose interest and forward motion. There are subsections, quotes and many details...often alarming. The archival photographs, clear and concise drawings are captioned to add interest and information. Along with telling what led to the disasters, the author also offers suggestions for prevention of future catastrophic events. In a Notes section she provides titles for further reading and her own sources of information. There is also an extensive bibliography and a useful index. "Nature will always shake, sizzle, gush, and wallop. It has the strength to destroy but also the systems to protect and restore. There is much to be learned from a close look at past disasters. The clues can lead to wiser choices for living in the natural world." What an addition this book will prove to be for a history class, and for budding historians! a robot for the science fair. until the rampage started, that is. There is no way that I can do justice to this over-the-top, energetic, entertaining, and always engaging collaborative effort! But, I want to tell you a bit about it...to ensure that you get it in your hands and share it with your kids. 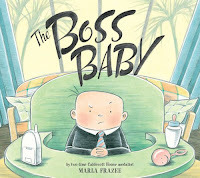 It's a tough read to a classroom; but will take you on a hilarious romp when shared one-on-one! Look to the inside of that dust jacket and you will see a poster depicting what looks like a film version of the book you are about to read. It takes some of its inspiration from the Japanese and their affinity for Godzilla and his ilk. And we haven't even come to the jacket flaps, which provide a quick summary and a stylized vision of the book's creators. What about the endpapers? Well, there's another story! The endpapers show finely detailed, labeled blueprints for said robot from the Robot Unit Series - 01 and a Growth Ray Device - 02. It is suggested that they are for the fifth grade science fair, under Mrs. Turnham's tutelage. There is so much to see before continuing into the heart of the book. On it goes, filled with drama and delight, humor and satire. I have pored over the pictures endlessly, trying to figure out if I am even coming close to 'getting it'. I am quite sure I am not! There is limited text, but the story is clear. The computer generated illustrations add so much detail that I cannot begin to tell you about them. Suffice it to say; you will not, in the least bit, be sorry if you get a copy of this wildly imaginative and seriously wigged-out look at a child's inability to understand the true extent of their actions. So I built a fort." When a box arrives in the mail and is opened by its recipient, she discovers that it contains seven (count them)...seven fortune cookies. The tag says they are for Fortune and from Uncle Albert. She chooses to open one each day, for a week. The fortunes are tucked inside a cookie and released by a pull tab. The first one, opened Sunday, tells Fortune that she will 'lose something you don't need'. Lo and behold, out comes a tooth! Leaving that tooth to the good graces of the tooth fairy, she goes to bed. Again, the fortune seems to match the circumstance. It tells her that 'money is like the wind.' She takes that to mean she should use the money under her pillow to buy a kite...which she does. On she goes opening a new cookie as each day passes. 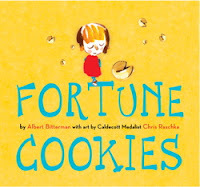 Her fortune wavers from one event to the next, each seeming to match the prophecy found in the delectable cookie, until the one on Saturday suggests 'seven is your lucky number'. Indeedy, do! How many fortune cookies did she get? How many days in the week are there? How many kittens might there be in a litter? If you guessed seven, you are right! So many things to enjoy in this little book....a bit of a game with the pull tabs, wonderful art, the ups and downs in a child's day-to-day life, a lesson in counting and the days of the week, and an exciting bonus as the week comes to a close...a clear reminder of the wondrous gift that all this good fortune truly afforded her....and us! Ah, a blog post with no quote from the book! That might be a first...but, it won't be the last. I love wordless books and feel the need to remind readers that just because they don't have words, it does follow that they don't tell a thoughtful and quite unbelievable story. So, now I am going to spend some time writing about a book that uses nary a word to pack a wallop in the telling. It is a story of thievery and of love....and a whole lot more. As it opens we see a fox hightailing it away from a white cottage in the forest, hen under his arm. The cottage inhabitants include a surprised rabbit, an enraged bear, an aghast rooster (the mate?) and scattered squawking hens and a host of baby 'chicklets'. Bear, Rabbit and Rooster set off in hot pursuit, through daylight and moonlight. They take refuge in tall trees when exhaustion calls a halt to the running. When the morning sun rises, they are off again...until the fox finds his den and the others must try to find a way inside. The tunnel maze is daunting, Bear is too big to fit and the others are not too keen to tangle with a fox in his lair. A close look inside shows the warm glow of candlelight and the camaraderie of a chess game being played. What the what? Fox and Hen seem quite content to be together and that sets the stage for the final 'twist in the tale'. Humor and quiet thoughtfulness about relationships are here for all who share this book! There are many questions to be asked and considered. The panoramic views suggest the long distance travelled and the hardships faced as the chase plays itself out. Every expression is clearly conveyed, the warmth of the daytime sun, the cool of the nighttime vigils and all action in between is evident to each 'reader'. Put this on your list of books to add to your bookshelf...it is meant to be savored and shared time and again. thick and strong as tree trunks. it light enough to get airborne." No matter how many times I share Steve Jenkins' superb books, I am constantly aware of the awe in which he is held by his legion of fans. Open a page in this book and it is sure to remind someone of that illustration in Actual Size (Houghton, 2004) that shows the head of the saltwater crocodile, or the levels of the sea in Down Down Down (Houghton, 2009) or the orangutan holding a large leaf as an umbrella over his head in the rainforest in How Many Ways Can You Catch a Fly? (Houghton, 2008). If kids have been lucky enough to borrow, or buy one of his remarkably illustrated and researched books, they will be fans for life. If they are working in a classroom where Steve Jenkins' books are being studied, they will emerge more informed and constantly intrigued by the wonders of our world. They will also have come in contact with an inveterate questioner and a perpetual learner. As is usual for this talented and inquisitive man, the information about bones in animals and humans is presented with clear and accurate attention to detail. Why even the big, smiling human skull on the front cover is a promise that here you will discover much. Open that cover and the title page shows a monkey swinging across it. Note how remarkably similar it is to our own human skeletons! And then we are right into the 'bare bones' details of skeletons and how they work. "Remove an animal's skeleton, and it would become a helpless, squishy sack of skin." An initial guessing game places just one bone of a human hand on the first page and the whole thing on the following one, and lets readers know that there are 27 bones there. He moves on to arms, legs, ribs, vertebrae, and the skull. But, that's not all. You never knows what's coming next and that it a big part of the appeal. The accompanying text is short, sweet and to the point, never overwhelming with detail and always encouraging the young reader to move on and learn more. "Human babies are born with about 300 bones. As they grow, some of their separate bones, such as the ones in the skull, fuse together. Adults end up with a total of 206 bones." "The blue whale is the largest mammal that has ever lived, with a skeleton to match. A blue whale's skull is the size of a station wagon." Who didn't want to know that? that says he's going to teach me. list will give me the answer but it doesn't." Did you ever just hug a book when you finished reading it? I just did. I love books, and many have had a powerful impact on me. Is it the day? Is it the mood? Is it that it speaks to you at this particular time in your life? I don't know and frankly, I don't really mind the not knowing. To say this book had an impact is an understatement. One minute I was laughing out loud and the next I was crying. It might be the day, the mood I am in, or it might be that that I just finished reading a book I LOVED...and I think you should read it, too! If it doesn't squeeze your heart and make your throat ache, I will be surprised. If you don't want to call it a 10 and put it on your 'keeper' shelf, then it didn't affect you in the same way that it did me. But, I still think you should read it! I'll set the scene. 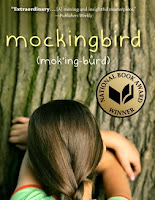 Caitlin is in fifth grade, her mother is dead (a victim of cancer), her beloved brother has been killed in a school shooting, her father is devastated by the loss and she is dealing with the black and white world of a child with Asperger's syndrome. Her understanding of the world in its most literal terms is clearly drawn and packed with emotion, as Caitlin struggles for Closure, for Finesse and with trying to make friends. Her older brother Devon was her guide through the many struggles...and now he is gone. She must face the confusion of the world on her own; with a little help from some new friends. "I wear sweatpants and a long-sleeved T-shirt every day. Except in summer. Then my sweatpants and T-shirts are short sleeved. The T-shirt can be any color. I don't care as long as it's not yellow or gold or mossy green or pukey green or poopy green - That makes Michael start giggling - or any kind of pink because those colors make me feel sick. And it can only be one color because I don't like colors running into each other. And there can't be writing on the T-shirt or people will read it and I don't want them looking at me. And the long-sleeve T-shirts can't have scratchy cuffs. And none of the T-shirts can have tags in the back or collars. Or stripes. Or pockets. Or zigzag stitching. Or double stitching. Now my Dad knows and he says I'm such a breeze to buy for." "You have to Work At It . . . ," Caitlin tells her father. "You have to try even if it's hard and you think you can never do it and you just want to scream and hide and shake your hands over and over and over." We care about Caitlin and her struggles with the world that is hers. That is the work of this perceptive and beautifully written book...to make us care so much it hurts and then to exult in the big and little successes. Kathryn Erskine gives us a character who is so alive, so guileless and so memorable. She is an unforgettable narrator. This is a book to be savored. Now, I am off to order a copy of Quaking (Penguin, 2007). I love when one book by a unknown (to me) author leads me to another. she sometimes wants to say no. Noni absolutely, positively cannot say no." There are so many things that Noni CAN do! She helps with the baby, works in the kitchen with her mother. and is independent. But, there is one thing that she doesn't seem able to do. She just can't say 'NO!' As with all other children, there was a time when saying no was a daily occurrence, and often more than once a day!Now, she wants everyone to be happy, especially her best friend Susie. 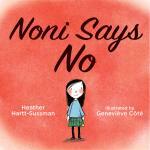 "At Susie's house, when Noni asks if she can sleep over, Susie has no trouble saying no. The result will be as much a surprise to the reader as it is to Noni. Genevieve Cote does such a commendable job of creating Noni's character. She is a gentle and caring little girl whose willpower is non-existent when Susie is near. I love the way she uses reds for the cheeks and background to give readers a feel for the embarrassment and concern she has when she cannot refuse Susie's demands. The smudgy charcoals are effective for the times when she does remember being negative and contrary. Playful and full of feeling, these illustrations provide a grand accompaniment to this empowering story of a young girl finding her own voice. take your seat on the bus." "My name is not Rosa!" Just how big can a little girl dream? As big as she wants! I love it when a new book inspires its readers with imagination, wit and wonderful language. It's sub-title is 'Just How Big Can a Little Girl Dream?' and Isabella can dream big! It is an inspiration to any child who believes in being the best that she can be...and the message will not be lost on the boys and men who read it either. It might even work as a mentor text for anyone wanting to do research about those who have made our world a better place. Isabella pretends to be a different wonderful woman each day, and she has a considerate, understanding and very supportive mother. The women that she chooses to portray are famous for feats of bravery, kindness, tenacity and intelligence. We don't know who they are modelled on until the end matter, but we can certainly guess at their identity while sharing this carefully drawn, brightly colored homage to some of our great female role models. We first meet a remarkable Isabella-like young lady named Sally and the clues provided are astronaut, spacesuit, blast. 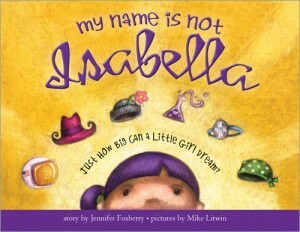 Just when Mom thinks she has the right name again, Isabella is quick to reject that identity and invent another. The famous women are Sally Ride, Annie Oakley, Rosa Parks, Marie Curie, Elizabeth Blackwell and well, Mommy! I dedicate this post to Nan who helped me learn to be the best I could be...and to Erin, my own 'sweetie pie, honeybunch, angel face, lover girl'. Is it ever easy to have a little brother? I think it gets easier as we get older - it certainly did for me. I cannot speak for Jack about having an older sister. Flora has yet to be convinced that Crispin is worth it. He spills her paints and somehow it is her fault for leaving them where he can get his hands on them! When kids are proving more trouble than they are worth, the oft-used solution is to ship them outside to play. Aha, Flora's mother has employed that tactic with good results for herself...peace and quiet. "The man in the moon had a kind face, and he did look awfully lonely. But there were no chocolate chip cookies on the moon, and Crispin was so fond of chocolate chip cookies." I have such admiration for Matt Phelan's charming and whimsical wind-blown illustrations. Flora's expression of pure delight as she stands facing the wind while she lets her 'super-special heavy-duty red boots' hold her to the ground, Crispin's wonder-filled face as he is tossed and turned into the leaf-strewn sky and the gentle brushing of rainbow shreds from his coat when they arrive home safely all give this story of sibling strife a gentle and heartwarming touch. The final two spots of brother and sister sharing much more than chocolate chip cookies leave readers feel all is right in this world. the problem of the couch. Is life ever easy with a new sibling? I don't remember...but many will have stories. 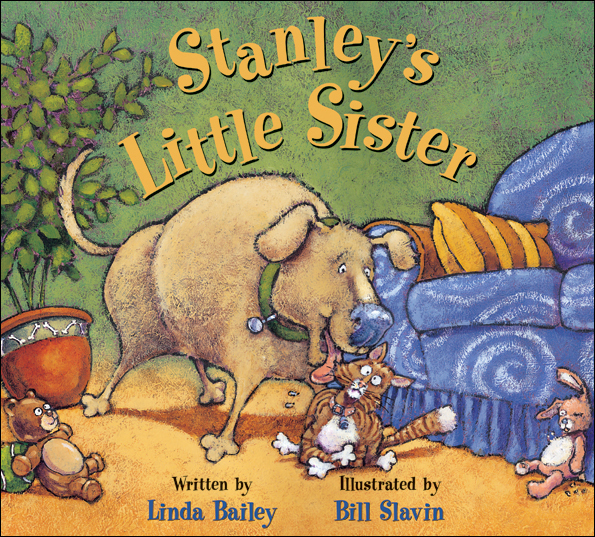 Stanley is anxious to share his in this new fun-filled family saga. When his people bring home a new cat without asking for Stanley's permission, he is peeved. Stanley works hard at being a good dog all the time (with the occasional misstep) and he knows how he is supposed to behave in the presence of this new inhabitant. His first friendly foray is met with a precisely placed clawed paw to the poor guy's nose! No one in the family even notices. So, Stanley takes dealing with the cat as his own personal problem and trees (well, curtains) her. Who's in trouble? Stanley! He voices his concerns to his friends and they have some fail-safe suggestions. No matter what he tries, the cat is resistant and Stanley is determined to refrain from chasing. But, his natural instincts kick in and he gets himself in trouble time and again. His pals try again with helpful advice. Frustrated with his inability to resolve the issues, Stanley gives up. He settles in for a long rest...who knew that was all he had to do? 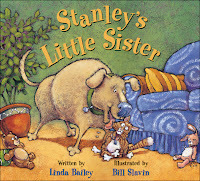 Young readers love familiar characters and they will be pleased to meet up with Stanley and his friends once more. They are sure to remember him from his previous adventures. His soft, cushy body, his naivete about the workings of the world and the supportive menagerie of mutts will encourage discussion and memories. The warmth of Bill Slavin's detailed and illuminated artwork, with its soft edges, expressive faces and action add just the right touch! cat may be reading this book. Whoa! I am not even sure you should be reading this blog post if you are NOT a cat! The book itself is only meant to be read by cats, after all. Oh boy, what fun to share this in an early years classroom or with your little ones at home. They will be loudly laughing as you attempt to share a book that often admonishes any non-feline reader to stop and leave the enjoyment to cats. Can't you just hear them? I am going to take it on my reading guest visits over the next three weeks. And I know it will be a favorite. If you aren't a cat, stop reading right now. NO, you need to continue on to get the full impact of the many suggestions made if you want to prove you are who you say you are. Can you meow? Well, meowing is pretty easy and very LOUD! Do you think you can purr? That's harder! How about stretching? Are you lean and limber? Finally, the nap! Can you nap anywhere? Do you love lying in the sun? Well, you might be a cat. It is their undoing...soon each protector of the tale being told is sound asleep and there nothing left but to close this most enjoyable book. Full of fun and very interactive, you won't be sorry if you put this on your 'must purchase' list. One reading and your listeners will be hooked, and it will be requested often. Then, let them try their hand at creating their own 'secret' book. That will keep them invested in the writing. Take some time to check out Jef's blog and see the trailer he created for this newest offering. trees and peek at baby birds. in the white, white snow." 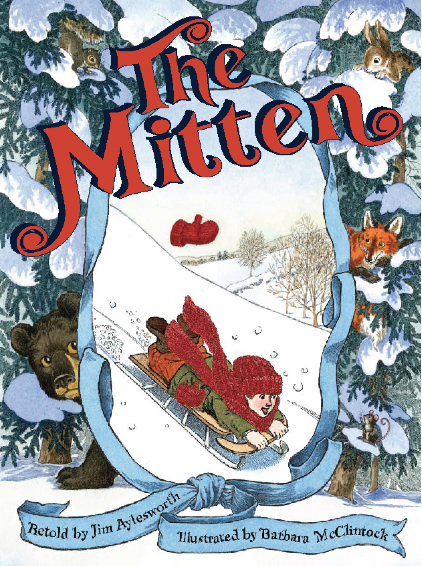 If you are familiar with this winter tale, you may have read Alvin Tresselt's version which was first published in 1964, or Jan Brett's more familiar work published first in 1989. Jim Aylesworth has here retold that story for a legion of new listeners. In the meantime a shivery squirrel finds the mitten and makes his way into the warmth it affords. He snuggles down and is soon fast asleep. Then along comes a frigid rabbit who likes the look of the mitten and wonders if he can snag a spot inside. The squirrel is adamant that there is no room...but the rabbit pleads with him and the squirrel, remembering what it was like to be so cold, relents and the rabbit is soon warm and toasty, too. Then a fox and a bear join the menagerie, finding a place to keep them protected from the chilly winter air. When a mouse seeks to join the group, it is just too much and the mitten flies apart...leaving everyone to find relief elsewhere. When the grandson and his grandmother find what is left of the mitten the following morning they cannot imagine what has happened to it. No wonder! Off they go home so Grandmother can set to work on a new mitten to keep her grandson safe from cold winter winds. A great retelling with charming and wonderful illustrations of the forest animals who seek refuge from winter's icy blast. That we know about here today! What do you do when you wake up at 2 am and don't seem destined to get back to sleep? Well, you could try reading Death Cloud, and I guarantee that sleep will remain elusive. That's the choice I made last night and although I am tired this afternoon, I loved every minute of the read. Taking us back to Victoria England, the year is 1868 and Sherlock is fourteen. He's looking forward to time away from the boarding school he is attending and to seeing his family. It is not to be! While all boarders prepare to leave for home, Sherlock is called to the headmaster's office where he meets his brother, Mycroft. Things at home are not good. Mr. Holmes has been called to service in India, his mother is ill and Mycroft is working for the government in London. Sherlock will spend the summer with relatives in Hampshire. He is distraught and discouraged. Upon reaching the Hampshire home, he is even more convinced that this is not where he wants to be. His aunt and uncle are eccentric, their housekeeper a mean and evil woman and there is little to keep a young adolescent boy occupied. Then, he meets Matty. Matty is a young runaway who lives in a boat on the river and brings excitement and adventure to Sherlock's lonely life. Matty tells Sherlock of a disturbing occurrence...something about a dark cloud that hovered near a dead body in town. And he meets Amyus Crowe...a tutor employed by Mycroft to help Sherlock keep up with his studies. While they are together, they discover another dead body and see the same kind of cloud that Matty has described. Ah, mysterious! . And he meets Virginia, Amyus Crowe's daughter. She is strong, willful, unafraid and quite intriguing, as far as Sherlock is concerned. Soon they are all embroiled in a puzzle that includes two dead bodies, dust clouds near those bodies, a burned out warehouse, frightening and aggressive henchmen and an unusual and powerful leader named the Baron. It takes cunning, bravery, and a lot of heart pounding adventure to get to the bottom of the story and to thwart the evil doings of the Baron and his minions. 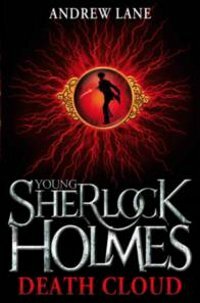 I earlier championed Shane Peacock's four Young Sherlock Holmes books. I loved every one of them. This book is not as dark and brooding as those; but it is full of adventure and danger. We see some of those traits that will help Sherlock become a famous and beloved detective. There is rarely a stop in the action, some of it brutal and disturbing, Sherlock and his cohorts remain positive and supportive each of the other. It is a great group of characters who share a story that will keep readers reading right to the last word. Try it, I'm sure you will like it, too! "Who will help me ice the cake?" "Not I," said the rat. "All right then," she sighed. "I will do it myself." I have been waiting for this delicious book since I first read its predecessor, Chicken Little (Roaring Brook, 2009). It is a familiar tale; but, it is the artistic interpretation that makes it outstanding. The red hen is a red seal chef at heart...so, when she finds a recipe for Simply Splendid Cake, there is nothing to do but get to work. As in other familiar tellings of this tale she goes to her friends (this time, a cat, a rat and a frog) for help. They have no intention of being the baker's helpers and with each plea, they are resolute in their refusal. The red hen gathers all necessary ingredients and sets about making the best of the situation, creating a cake that is a culinary delight. Of course everyone is keen to share the fruits of her labor; but, as is to be expected, she reasons that she should do the eating herself...just as she has done everything else. Familiar? Absolutely! But, that is where the similarities end. For, when you catch your first glimpse of the bold, bright and frenetic artwork, you will be transported to another place entirely. The brilliant collage creations will have kids squirming in their seats to try their hand at designing their own creatures. The detail filled double-page spreads, abound with action and the mischievous interference of her four chicks while the so-called friends laze languorously in the midst of the cake-baking busyness. And, if that isn't enough enjoyment, there follows a recipe for said cake, with ingredients listed and directions given. Perhaps you can find some willing assistants to help you bake your own Simply Splendid Cake. I can only hope you learned a lesson about sharing it! "Who is snooping on Mr. Putney? Who is building Mr. Putney's hot tub? It's tough to get the real picture without the apt and hilarious illustrations. But, this book is such fun to share with kids. I took it to some classrooms this week, and it was amazing how quickly careful listeners started chiming in with appropriate answers. Jon Agee is adept at creating memorable characters. I have been a fan since reading The Incredible Painting of Felix Clouseau (Farrar, 1988). His books of word play delight those who love palindromes and oxymorons. His character driven picture books find fan favor at every turn. I give The Retired Kid (Hyperion, 2008) as a retirement gift at least once every year now. His sense of humor is evident in this new set of animal riddles and will encourage listeners to stretch their thinking as they try to solve the word puzzles. With guidance and time, they will run with their own ideas and writing. Pair them up and let one do the writing and the other the illustrations. Make a list of animals and see where that list leads. I will be sharing this time and again as we celebrate I Love to Read month, and beyond. Bravo, Jon Agee. You have done it again! "No more spots and squiggles! No more stars and stripes! Cave Dad wags his finger. to the big brown bear!"" And now we know how those cave paintings appeared on the walls in Lascaux! 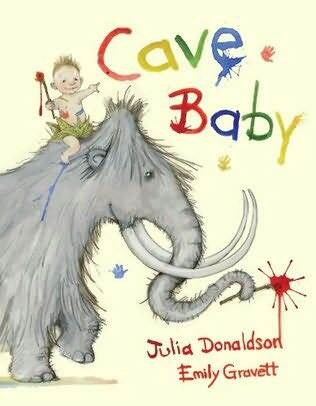 Cave Baby's Mom did them. Well, maybe not. But we can suspend reality for a short time while sharing this lively new book by two of my favorite artists. Julia Donaldson gave me one of the best all-time read aloud books for my kindergarten classes...The Gruffalo. I have read it for more than ten years now, and I never tire of it. And Emily Gravett? Well, if you aren't watching her work, you need to get out there and get started. She is simply too talented for words. Cave Baby's Mom likes to paint and his Dad likes to be brave (especially when dealing with a visiting and unwelcome mouse). Cave Baby is bored...until he finds a paint pot and brush. We all know what young children can do when the opportunity presents itself. Mom and Dad are not impressed and offer a warning that he takes to heart. 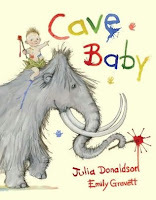 When the dreaded hairy mammoth arrives in the middle of the night, Cave Baby has a right to be concerned. Off they go into the moonlit night, encountering an abundance of fearsome creatures as they stroll. Can you see the bear? A lively game for observant little ones that keeps them carefully considering the adventurous double-page spreads. A beard on a bear! A moustache on a mammoth! This is lots of fun!" Wow! This is Emily Gravett's first time collaboration. She has always illustrated only her own stories. It is a match made in picture book heaven. Don't miss it! all Great Artists needed it to make art." Bridget is a delightful girl, inspired to create her art with purpose and without distraction. She doesn't even 'wanna lick' of ice cream, she is so intent on what she is doing. She loves the outdoors and provides brilliant decor for her family's kitchen walls and doors. but Bridget said, "I can't draw, I have artist's block." "but I can still draw." A request from her sister for a lemonade stand sign gets the 'juices' flowing and soon Bridget the artist is back at work. The neighbors notice and are thankful. Bridget is focused and productive. "Tom Lichtenheld is drawn to drawing. And puns. And alliteration. Ever since he discovered that creating children's books lets him get away with all three at once, he's been in hog heaven." Indeed! The art is captivating and varied. He uses differing perspectives, spot designs, panels and wonderful expression to create this charming and humorous book. He explains artist's block in a side panel and includes in the back matter a double page spread he calls 'How to Start Your Art', an awesome introduction to well-known artists and their work, with suggestions for techniques that budding artists might want to try. This folktale was such fun to share on Friday with willing and attentive listeners. It is a great gift and we all loved the surprise ending. 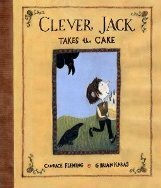 Jack is a familiar name in such clever tales. An invitation carried on the wind finds its way to his poor dwelling and Jack is up for the idea of attending the princess's tenth birthday party. His mother is apologetic, knowing the state of their affairs and that Jack has nothing to offer in the way of a present for the royal child. Jack is full of hope and determination. He finds a way to get the ingredients needed to bake a birthday cake, and proceeds to do just that. "two layers of golden-sweet cake covered in buttery frosting and ringed with ten tiny candles. Across the cake's top, walnuts spelled out "Happy Birthday, Princess". And in the very center - in the place of honor - sat the succulent strawberry." Proud of his efforts and determined to arrive on time for the party, Jack sets out for the castle. His way is wrought with scoundrels determined to 'take the cake' through selfish demands. When, at last, he arrives he does so with succulent strawberry in hand. As he joins the line and moves forward toward the guest of honor, a guard lets him know that the princess is allergic to strawberries and eats it himself. It is the final straw. When Jack arrives at the foot of the royal throne, he has nothing to share but a tale of woe. After the many magnificently boring gifts previously given to her, the princess is delighted with Jack...the teller of an adventurous tale much loved by her royal highness. She asks Jack to help her cut the cake....and share it! This action-filled story is accompanied by equally action-filled artwork, done in gouache and pencil by the incomparable G Brian Karas. He fills the pages with detail and expression. Read it once for the words and again for the illustrations...and then again to enjoy the whole experience. Be sure to take note of the endpapers as they add context to events prior to and following the celebration. Clever, indeed! who brought her little sister. This is a perfect read aloud for the early grades. Rukhsana Khan knows the young and their many concerns. In this appealing and relevant book, she writes about family expectations and their resulting difficulties. Rubina is so excited when she is finally invited to her first birthday party. She rushes home to tell her mother, who knows nothing about such parties and insists that Rubina take her younger sister Sana with her. Rubina is noticeably upset, knowing that none of the other invited guests will have to bring a younger sister. Ami insists and Rubina must call her friend to be sure it is all right. Rubina knows it is an unusual request. If she wants to attend, she must bring Sana. At the party Sana does just what Rubina expects...she spoils her fun and the party itself. They both receive party bags as they are leaving and Sana is quick to eat the 'eatables' and demolish everything else. Rubina puts her red lollipop on a shelf in the fridge and dreams of enjoying it tomorrow. As is often the case with younger siblings, Sana cannot resist tasting Rubina's red lollipop and eats most of it. That creates another stir...and Rubina is admonished for not sharing. She does not cry, showing great willpower. Though the lollipop incident is quickly forgotten, the lack of invitations to any other birthday party is hard to ignore. Oh, what you would like to do to that little sister! In a surprise turn, Rubina offers a suggestion when Sana comes home with her first invitation and Ami repeats the ultimatum...Rubina and Maryam go, or Sana does not. Rubina gives wise counsel to her mother, following her own experience. Sana is grateful. The ink and watercolor drawings provide detail and emotion, as an immigrant child struggles to find her way in a new environment. The observant reader will note the universal feelings of anger at a sibling, disappointment in not being included, and the maturity that comes with experience. 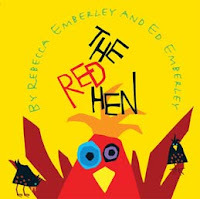 It is a story that invites discussion, and acts as a mentor text for those wanting to tell a family story of their own. As we, in Brandon, enjoy the Lieutenant Governor's Winter Festival which celebrates the many people who make our small city on the prairies 'home', we honor the diversity. It is such an important celebration and we are all better when we know more about the people who share our streets, schools, neighborhoods. For those who cannot visit the pavilions, there are many books that help children gain understanding of world communities. In this unusual and yummy book we learn about one of my favorite childhood desserts...rice pudding. If it is part of your family history, I guarantee that when you finish sharing the book it you will be off to round up a big pot and all the ingredients needed to make your own. "In the kitchen the rice is singing. Once the water has been absorbed, and with the help of his mother, the young cook adds a 'waterfall' of milk to the pot on the stove. As the rest of the ingredients become part of the pudding, the smells waft through the house and provide the perfect invitation for the family to gather 'to slurp up' this tasty treat. What magic there is in creating something that the whole family can enjoy! That is exactly what Jorge Argueta and Fernando Vilela have done for all of us. This is a book to be savored. Now, I'm off to get the pot on the stove! The rumor is that a forthcoming poem might teach us how to make guacamole! I can't wait. my love is right there." As we draw nearer to Valentine's Day and all that love means to different people, I find myself growing disenchanted with the retail hype that it has become. Everywhere, we are inundated with this or that thing that you ought to 'buy' to let your loved ones know that you LOVE them. Really? I'll bet that showing that love in other meaningful ways would be appreciated so much more! What about time spent together, a long and newsy letter, a phone call for nothing other to say I Love You? In her newest book, Nancy Tillman evokes a gentle and reassuring message for those we love. No matter where they go, our love is always with them. That love is eternal, strong, and a treasure. The child in the story is joyful, adventurous, playful. The rhythms are emotional and reassuring. The artwork is filled with light, movement and an always present luminescence that portrays the love that follows this child every minute of each day. Now, there's a Valentine gift...a book and time to read it over and over again. going to give up easily." Today I had the great pleasure of spending the afternoon with the kids at New Era. We were all celebrating I Love to Read week, and I was lucky enough to be invited to be a guest reader for the kindergarten to grade four classes. It was such fun and we shared some great books. 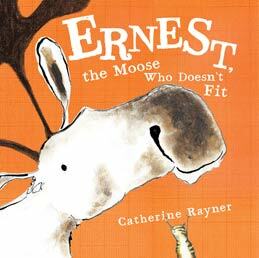 One of the favorites for the younger classes was this lively and imaginative story about Ernest. You know about the moose if you live in Manitoba. I have even met a few on the highway! Luckily, I saw them before they saw me and I was able to stop before running into one of them. That would be a dangerous meeting. until his friend has a suggestion. It's a big idea and sends her scampering for some tape while Ernest gathers up all the paper that he can find. Their solution to the difficulty facing Ernest is simply outstanding. We were all in awe of the artwork and I heard many sighs of satisfaction with the end result. We agreed that we love to share books that encourage the audience to seek alternative and inventive solutions to problems that arise. We also talked about the effectiveness of the mixed media illustrations that the author uses to accompany her entertaining and humorous tale. Each double page spread provides an opportunity for observation and discussion. The audience was attentive, the book was new and most enjoyable and I had a wonderful time. I hope they will invite me for a return visit! of witchcraft if they knew. birds are beautiful and harmless." 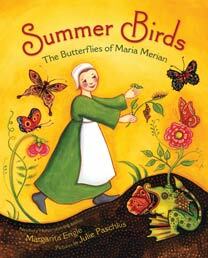 This is a beautifully imagined and boldly illustrated biography of Maria Merian. If that is not a familiar name to you it might be that she was a scientific illustrator, who was born in 1647 and died in 1717. I had not seen her work until I read this book. It led me to some new and enlightening information about a woman who made quite an impact with her observations in the 1600s. Margarita Engle chooses to tell her story in first person and that will have a tremendous impact when you are sharing it with children. It gives the story presence for 21st century listeners and shows the focus that Maria had for the work she was doing. It is simply told, but quite brilliant. Maria explains how she knows something that other scientists and people of the time do not know. She knows that 'summer birds' are not evil; rather, she describes what she observes of them daily. Maria gathers caterpillars, feeds them and watches them emerge as butterflies, so beautiful and endlessly fascinating that it defines her life's work. She records her observations meticulously in word and art, and dreams of a future that will include publication of her work and travel to learn more about the world. Julie Paschkis has created bold and luminous artwork that is faithful to the work that Maria did so long ago. The beautiful color will attract the attention of all readers and leave them awed by the beauty of the 'summer birds' that so intrigued Maria. I love the way the artist contrasts her pleasing, graceful butterflies on white and then juxtaposes it with the dark backgrounds of the medieval beliefs Maria is wanting to dispel. Awesome and so memorable! I hope that reading this exceptional picture book biography will lead you to learn more about a woman far ahead of her time, and of her much honored and admired work. It won't take the young reader long to figure out the fun in this wildly imaginative romp. The arrival of this demanding and daunting child marks the beginning of a new and decidedly different life for his parents. Long gone are the days when they ruled the roost. Nope, he's the boss and that is evident on every cleverly designed page. The cover provides a character study in grit and determination. His folded hands, executive onesie, the monitor for constant contact and all other requisite amenities are there. Open the book and you come face to face with a marquee proclaiming him as the star of the show....and indeed he is! Unimpressed with the time it's taking to get him to his destination, he shows his annoyance with a considered glare at his watch. Marching up the front walk, portfolio in hand, he immediately takes control. "...all activity ground to a halt. eyeballed his workers, and frowned. His staff did not respond." It takes thinking outside the box to get the response he is seeking; and to his great delight, all is well. Well, for a short time anyway. 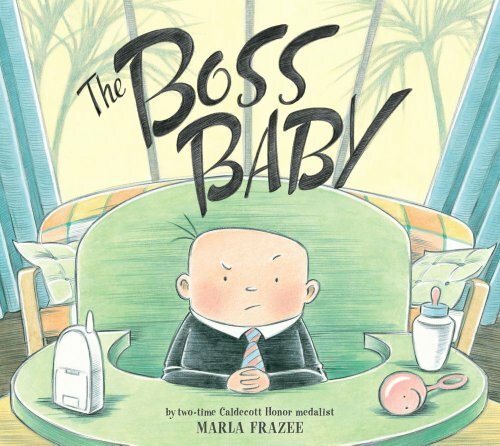 Marla Frazee shows her penchant for all things baby in this smart, witty picture book for any family celebrating a new arrival. This heartfelt and humorous story offers up so much fun that it will quickly become a family favorite. Anticipating a new arrival? Got a friend who's having a baby? You can't go wrong when this is the welcome gift! for the freedom of man." Kids don't need long and complicated biographical text to get the brain wondering about many events from the past. Doreen Rappaport proves that time and again; and she does so with this eloquent and elegant book about John Fitzgerald Kennedy. We learn much about Jack's rise to political favor and fame following the death of his brother Joe, whose destiny in his father's eyes was to be the first Catholic president of the United States. When Joe died during the Second World War, Jack became the beacon of light for his politically ambitious father. Jack was a reader and a writer, with a bad back and no aspiration for politics. However, he knew what his father wanted and one year later, he ran for congress and easily won a seat. It was the beginning of an illustrious political career, marked by hope for his country, persistent pain, momentous decisions and a very public private life. This is a wonderful tribute and introduction to John F Kennedy, the 35th President of the United States. It has been fifty years since his inauguration and I, one of many millions of people, remember it clearly. I was a teenager enamored of the charismatic leader who was loved and admired by the world. I was in awe of his oratory, his seemingly perfect life, and the Camelot atmosphere he and his family projected to the world at large. The many quotes included add poignancy and interest, and will remind those who share this book with today's youth of their own youth (well, if they are close to my age). "Growing up near Boston, I had always thought of the Kennedys as larger-than-life, like royalty. And in many ways, they were. But in these pictures they seemed so real, so human, so normal. I tried to keep this in mind as I illustrated this book, careful to show John F. Kennedy not only as an American icon, but also as a real human being." "His death overwhelmed everyone I knew. My friends and I clung together for three days, following every detail of his funeral on television." A timeline of important events, selected research sources and a list of further reading adds fuel to the 'fire' that may have been created in the inquisitive minds of many young historians.